Surface: The Soaring City is rated 4.4 out of 5 by 60. Rated 5 out of 5 by BooksandGameFan from Fantastic game! I'm going to keep my review brief since there will probably be few if anyone reading reviews on these older game, but for anyone who does, this game was fantastic!<P> I demoed it twice over the last 2 years and felt it wasn't for me but this past week I got on and old games kick and started playing all the older Surface games and WOW are they awesome! Far better than any of the newer games I've played in the last year and I've played some good ones!<P> Great storyline, fun things to do and tinker with. I love fixing things or building things in games so this was right up my alley. There was a bit of back and forth as with all Elephant games so that was a bit of a bummer but overall I very much enjoyed my time playing this game. It's one of the few games I will play over and over again! Give it a try even if you just use a free game coupon, I really think you will enjoy it, I know I did! Rated 5 out of 5 by AubergineSkies from An Older Game But Still Fun I completed this game shortly after it was released, and it was impressive at the time. Even compared to 2016-2017 releases, it's a good game. I'd give it 4.5 stars. I prefer dark and creepy games with decent jump scares and disturbing stories (few and far between, I know), so when a happy/pretty game is of any interest to me, it is definitely something special. The storyline is unique for an HOG game. The characterization is particularly good. It actually takes the time to make you care about a character before you spend the entire game trying to find/rescue/help him. Imagine that! The final "win" at the end seemed anti-climactic and didn't make tons of sense, but by that point, I didn't care anyway. Obviously bad guys lose in these games, does it matter what tool is used to take them down? The visuals and sound are pretty topnotch. Game mechanics are a bit laggy-- certain screens (2-3 maybe) always seemed to freeze for a second before loading. A small price to pay for a solid piece of entertainment! The length of the game is good (I despise short HOG games). There were more cut scenes than I care for, but they were short. The actual HO scenes were not too frequent, a big plus in my book, and they also had the unusual addition of requiring inventory items. Yes, you may have to stop working on the HO and go find an object to use within the HO! As it turns out, that was a very enjoyable aspect of the game. 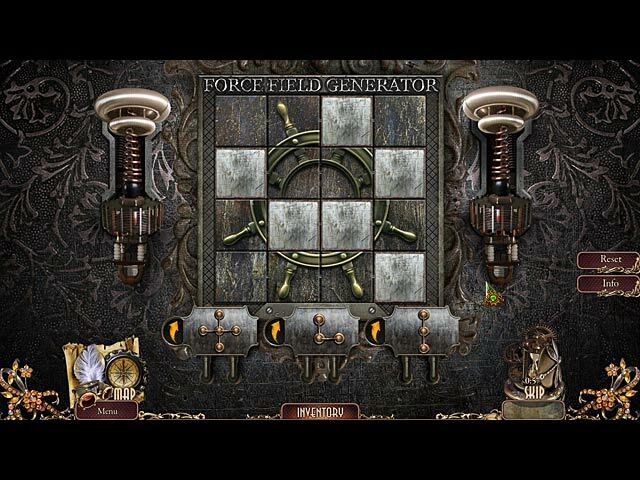 The level of challenge was fairly low on the hardest setting, as you never had access to many scenes at once until the end, at which point the traveling back and forth over and over became a bit tedious (hence the 4/5 "fun" rating). I was pretty happy, in retrospect, that you only had access to a few scenes for most of the game. Though not intensely challenging for avid players, it didn't feel like pointless clicking either. I am certainly an expert player for these types of games, and it was still enjoyable. There were a few lapses in logic as far as item-use goes (ummm... butterfly-operated robot? ), but it wasn't too bad. For those few times when I couldn't be bothered to try everything in my inventory to figure out which illogical item would be useful, the difficulty settings could be changed at any time. A quick change to casual mode saved me from boredom, particularly as the hint/skip buttons are already full when you switch modes. I changed to Casual mode to skip several puzzles that struck me as annoying too. However, the puzzles were unique, and I imagine that people will love them. Some were quite fun, while others... I wasn't in the mood to trial-and-error my way through them. On another day, I probably wouldn't have skipped anything or used any hints and had a very enjoyable experience. I can't fault the game for it. Besides, it's refreshing to see puzzles that aren't just the same old puzzles in every HOG. I decided to review the game mostly because it's nice to go back and play a game with no disappointment. Not all games age well, but this one did. It's still fun. It's still unique. It was a 5 star game then, and it's a 4.5 star game now. I liked it enough at the time to check out other Surface games as well. Let me save you the trouble: Soaring City and The Noise She Couldn't Make are the only really solid games in the series. I gave up on the series ages ago but decided to purchase Virtual Detective on a whim. We will see how that goes another day. Rated 5 out of 5 by stellasofie from Another great game! Just finished the SE version of this game & once again was quite captivated by the story line & length of this game. Very much looking forward to continuing the series, which from here on out I have the CE versions. The challenge continues, even more so I imagine. When I find a game & a game collection that I actually look forward to I am a very happy player. Yes, the hint button was a bit slow but I didn't care, I actually had to put on the old thinking cap, not a bad thing, but refreshing for a change. What will they have in store for me ahead? ?Can't wait to find out! Rated 5 out of 5 by ailesra from BEYOND AMAZING!!! A MUST PLAY & BUY GAME!!! 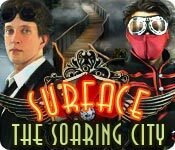 Surface: The Soaring City, is by far the most amazing game I have ever played. I truly think my heart stopped a few times while playing this mind blowing game. I was so hooked that I played it straight through while my hubby cleaned the house lol. Seriously, this game left me breathless... I immediately bought it & all other "Surface" games... You will too! Rated 5 out of 5 by balac_1 from Wow!! what a great story and game This is the Best Game that I have found. Not only does it have a fantastic and reasonable story backed up with video clips and audio; but it is by far the longest as one of the most populated games I have played. The puzzles are hard but not impossible to figure out; challenging is the word here. The HOS are good with lots of stuff and mostly pretty easy to find. I only had to go to the hints a few times, not every one like some games I have played. The game plat with the story needs for good memories because some items are used way back or used way up ahead. But most of the items are logical to be used in the situation; so there are no pillows top blow up car tires or tricycles needed to pull bulls out of mud. The game is one of the longest games I have played but everything works well just a little bit hard overall for a fun player; need to keep on your toes with this one; but I highly recommend it. 5 stars in my mind and I did not even start the add on game yet from the collectors edition. Rated 5 out of 5 by qmsterling from Excellent On All Levels Such an imaginative story (this is my 2nd SURFACE game, and the first--The Noise She Couldn't Make--was equally as creative)! Very refreshing to get away from the "mystery solver" genre. Graphics great. Storyline great. Challenge great. My only complaint was this did not display full-screen for me. Can't wait to try my next SURFACE title! Rated 5 out of 5 by gabrielle_d from My Favorite Game in the Series So Far The Soaring City is my favorite among other Surface games. Good storyline, good voice-over, and I love the characters. This is also the only Surface game that I wish I purchased the CE instead of SE. 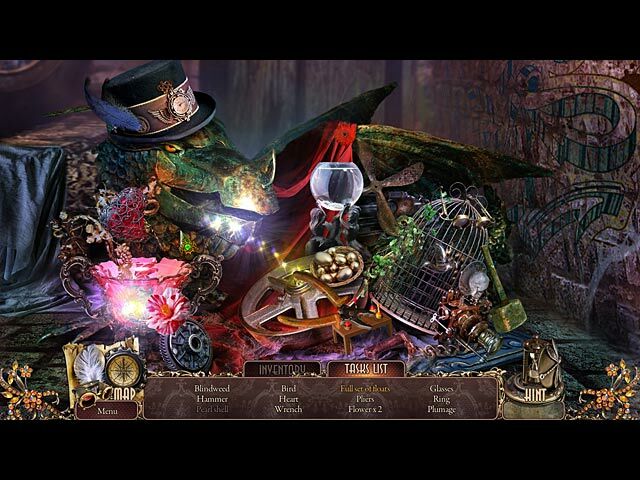 Puzzle is not very challenging and the animation is a bit lame, but I enjoyed this game too much to care. Very enjoyable from beginning to end. I hope the next games in this series will be just as good as this one. Although this game still has flaws, I give it 5 stars for giving me such a good time and so much fun. Rated 5 out of 5 by BlackWaterRules from Phenomenal Soundtrack Based on the demo. I bought the game after 20 minutes. 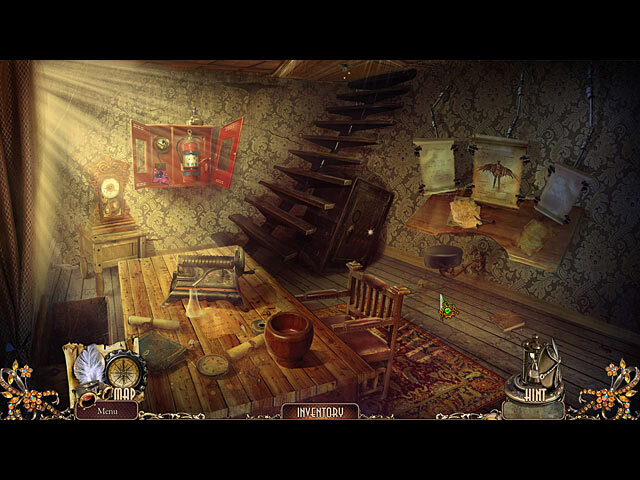 The storyline was excellent, the hidden objects scenes very well done, the mini puzzles ranged from easy to moderately hard. The visuals and graphics were just beautiful, but the soundtrack was amazing. The violin music was haunting. I would have bought the game for the music alone. This game is a great adventure all the way around. Rated 5 out of 5 by hibc60 from another great elephant games I waited and bought the regular, did not need the CE since I don't care about extras anyway but this game was fun, souring through things, great hint button and map, fun watching people fly just over all enjoyable. some of the games were a bit too challenging and I skipped some but over all I definitely recommend this game. I don't use sound so can't rate that but a fun game. the hint was more helpful than the map since it told you what to do but the map took you there so both worked well.